Sales of premium wine in the US are expected to decline again in 2019, according to the Silicon Valley Bank’s State of the Wine Industry Report, with a slowdown driven by retiring baby boomers and millennials’ delay in becoming wine drinkers. Figures show that while full-year 2018 sales will again close at record levels, the growth rate of sales continues to decline as a result of generational consumer shifts. “Today, consumers are leaving the lower price segments in favour of better-quality offerings, but after more than 20 years of straight-line growth trends, total volume growth is levelling out,” the report states. The premium wine segment – which is defined as above US$10 per bottle – will grow in the range of 4-8% in 2019, roughly flat compared to the 2018 sales growth estimate. 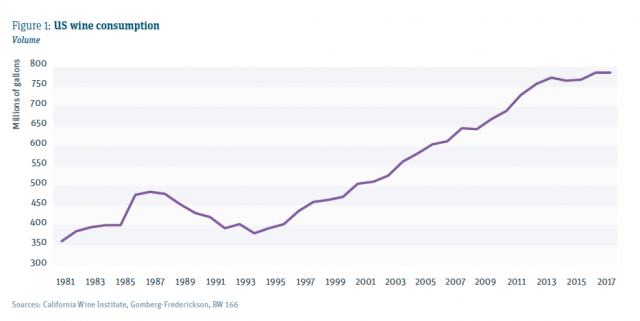 This slowdown was attributed to the habits of both baby boomers, and millennials. The former control 70% of US discretionary income and half of the net worth in the US, but are moving into retirement and declining in both their numbers and per capita consumption. Millennials meanwhile “aren’t yet embracing wine consumption as many had predicted”, the report states, with “damaged financial capacity” cited as a major contributor to decline, along with the burgeoning cannabis industry and legalisation across several states in the US. Continued messaging on the health benefits of drinking less alcohol is also offsetting consumption, particularly among millennial consumers, the report adds. The findings back up another report, The Wine Intelligence US Landscapes 2019 report, published this week, which warned that millennials in the US were are turning away from wine, and alcohol in general. It found that there had been a “marked decline” in the frequency that alcohol was drunk among people aged under 35, with around 3 million people aged 21-35 falling out of the category. Overall the number of regular drinkers in the US aged under 55 has fallen from 88 million in 2015 to 84 million in 2018, despite the population of adults of drinking age rising over the same period. In the US off-trade, sales by value are expected to grow between 0.5 and 2.5%, while volume sales will settle something between -0.5% and 1.5%. Overall, retail pricing is expected to remain flat in premium wine “as the industry works through sluggish volume growth and a slight surplus of wine”. the report added, with some limited price reductions in the $15-17 bottle price range predicted, as wine below $9 continues to shrink in volume and value. 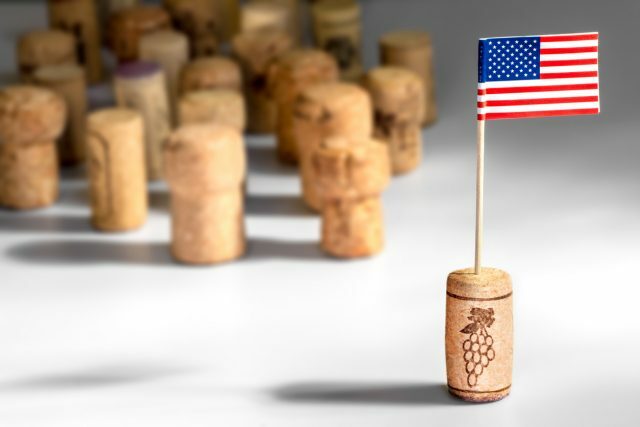 “Despite the positive year in 2018 and 25 years of great growth for the US wine business, I believe sales growth forecasts for the next five years should be tempered,” said Rob McMillan, founder of Silicon Valley Bank’s Wine Division and author of the report.